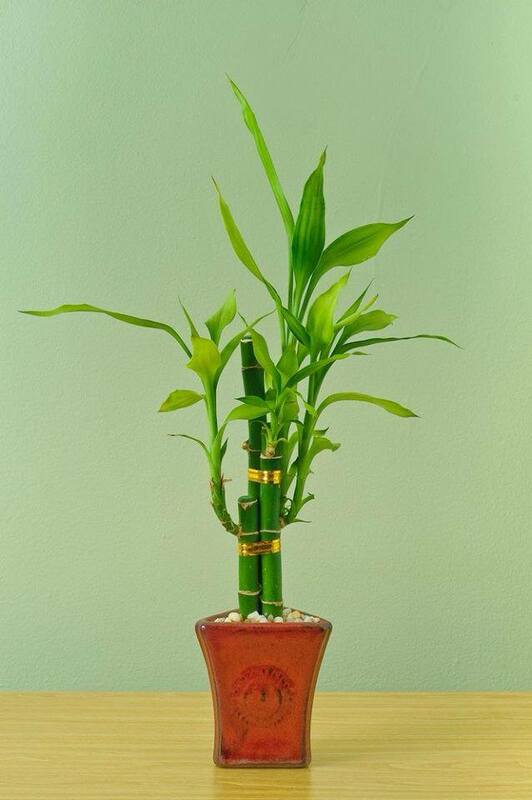 She has one, he has one, you have one, I have one, the office has one... lets just say "lucky bamboo" has made its way into many a home, office, and waiting room. Popularized by the practice of feng shui and sold for pennies on the dime by New Age stores all over the world, these plants seem to thrive on neglect. It may come as a surprise then that these plants are not a bamboo at all. These ubiquitous home decorations are actually a species of Dracaena, Dracaena braunii to be exact. It isn't even from the same taxonomical order as bamboo. Whereas bamboo are a type of grass, D. braunii is actually more closely related to lilies. Hailing from Africa, D. braunii grows as an understory shrub in rainforests. This may explain why it does so well in the nutrient poor, low light conditions of most homes. In the wild, it can grow upwards of 5 feet tall. In captivity, however, it rarely exceeds 3 feet.. While most people grow theirs in a container of water and pebbles, D. braunii can do equally as well, if not better in potting mix.